After National Service, Batterham served a two year apprenticeship under Bernard Leach at the Leach Pottery, St Ives where he met his wife, Dinah Dunn. 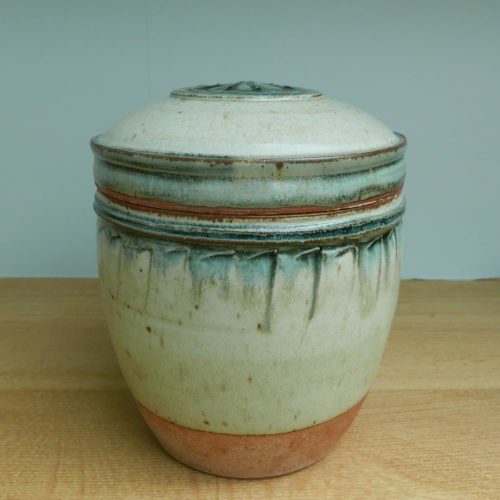 On their marriage in 1959, he left Leach and established his own studio at Durweston, near Blandford, Dorset. 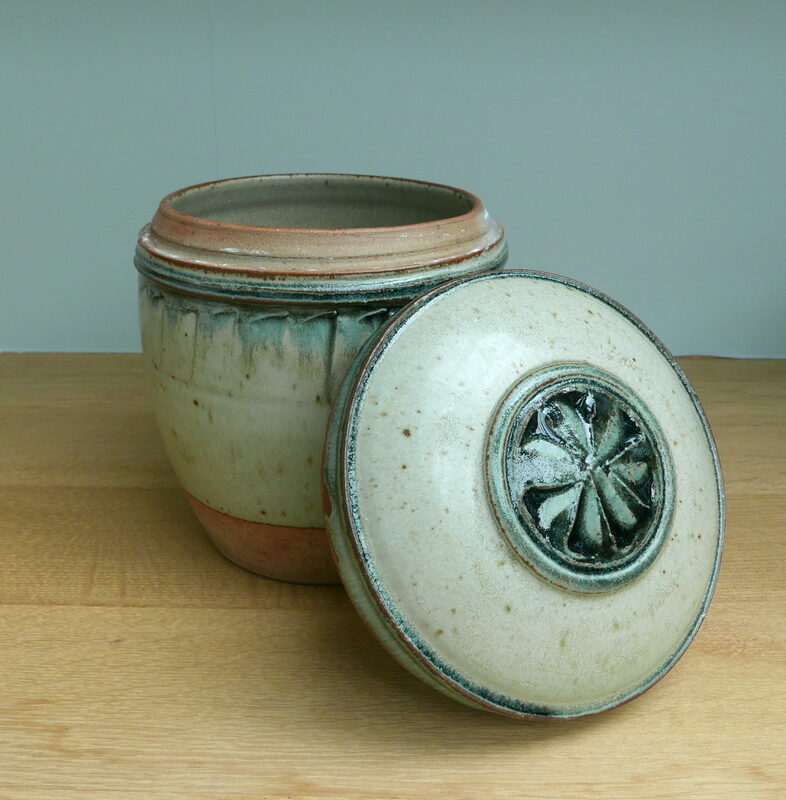 There he built an oil-fired, two chambered kiln, later extending it to three. 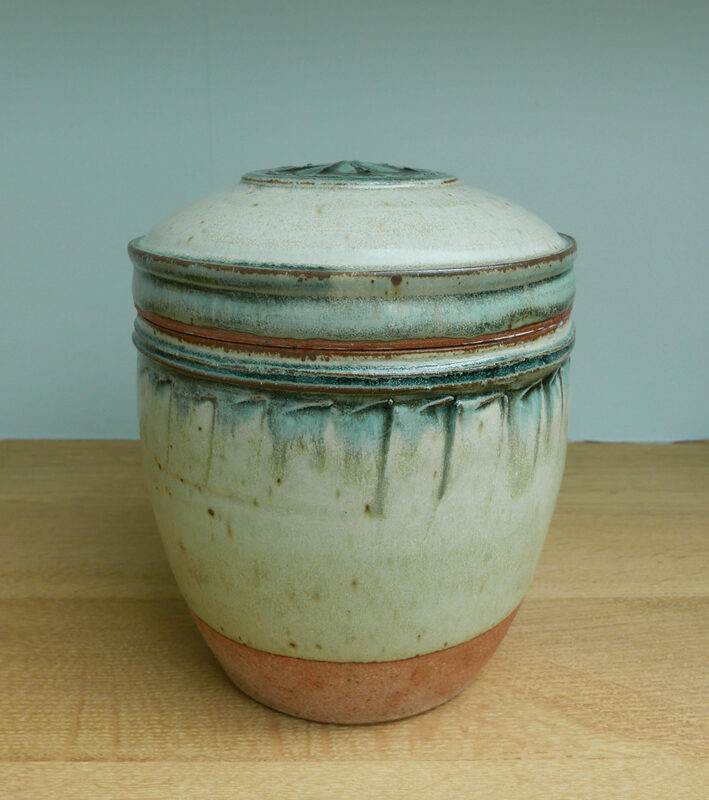 In 1967, Richard moved into a new pottery workshop and built a larger four-chambered oil and wood fired kiln. 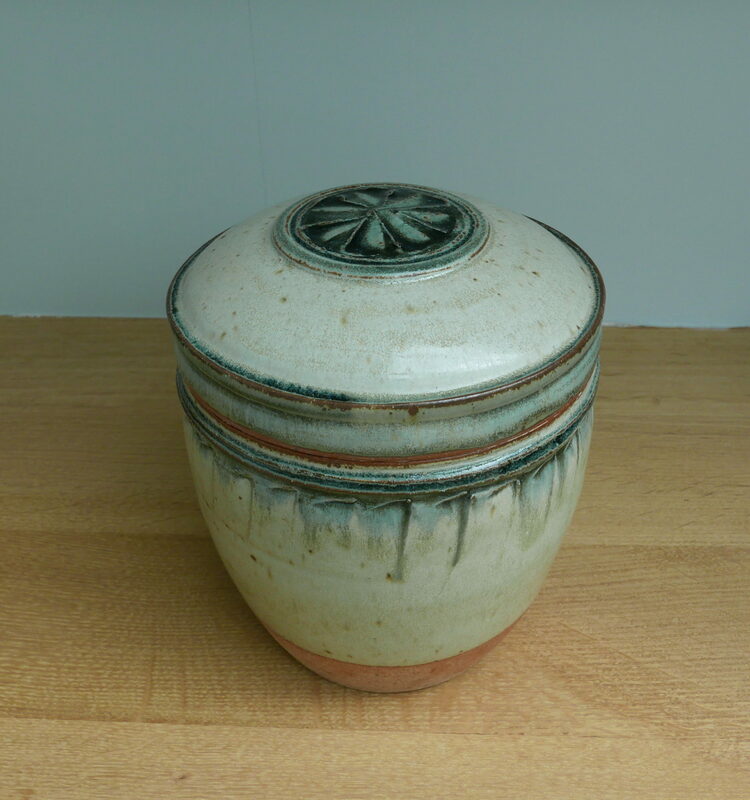 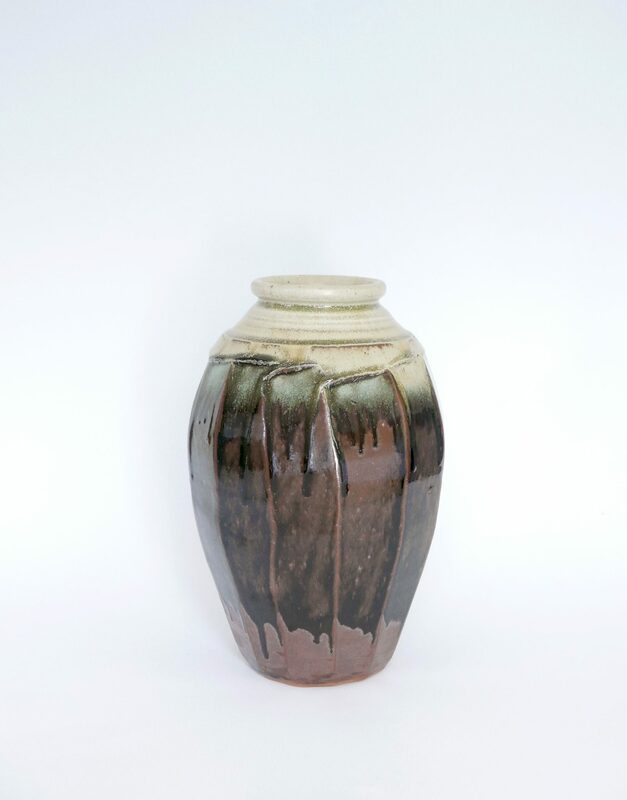 In 1978, with the help of the French potter, Thiébaut Chagué, he also built a small salt glaze kiln. 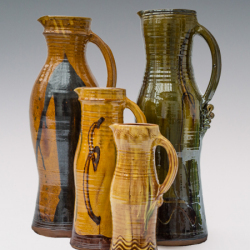 He now has about five firings a year and is producing some of his best work to date. 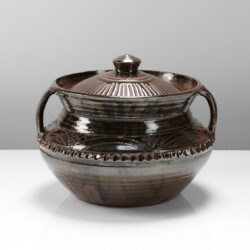 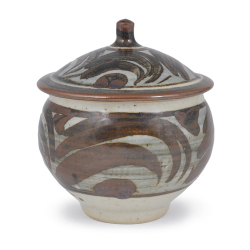 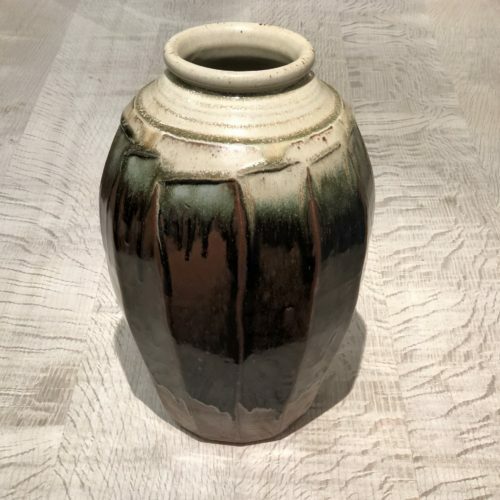 His pots are often regarded as the finest domestic stoneware in the Leach tradition, though he also exemplifies the teaching of Michael Cardew. His pots are made to enrich life, rather than to adorn it, his work is deeply assured and full of authority without being in any way conceited. 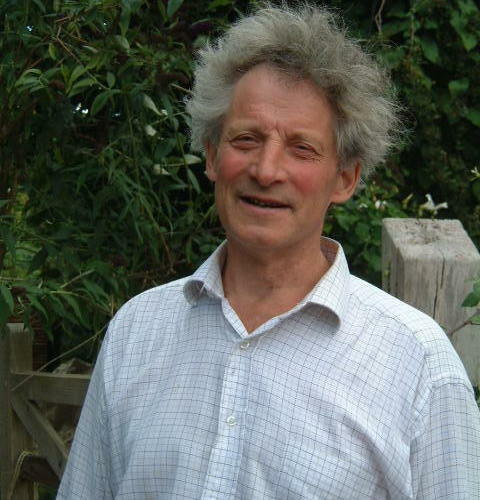 Richard’s work is in numerous museums and private collections, and he has been represented by Joanna Bird since 2000. 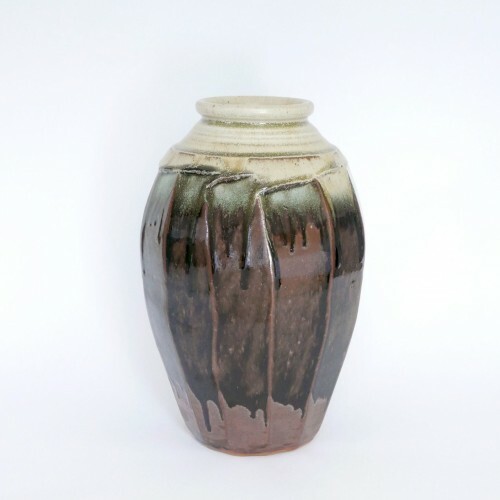 In 2017 he was the subject of a film by the Joanna Bird Foundation titled ‘Richard Batterham, Master Potter’.